Nineteen Choctaw men have been documented as being the first to use their own language as a “code” to transmit military messages. During the first world war, with the tapping of the American Army’s phone lines, the Germans were able to learn the location of where the Allied Forces were stationed, as well as where sup-plies were kept. When the Choctaw men were put on the phones and talked in their Native speech, the Germans couldn’t effectively spy on the trans-missions. Native Americans did not receive nationwide citizenship until 1924, yet the Choctaws were both patriotic and valiant, with a desire to serve in the war effort. 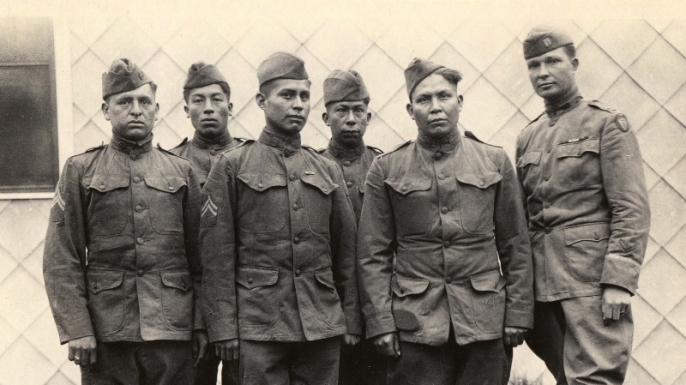 Many Choctaw men volunteered in WWI to fight for our country. Mem- Choctaw Code Talkers of WWI instrumental in ending war bers of Choctaw and other Tribal Nations also served with distinction using Native languages in World War II, Korea and Vietnam. In a postwar memo, Bloor expressed his pleasure and satisfaction. "We were confident the possibilities of the telephone had been obtained without its hazards." He noted, however, that the Choctaw tongue, by itself, was unable to fully express the military terminology then in use. No Choctaw word or phrase existed to describe a "machine gun", for example. So the Choctaws improvised, using their words for "big gun" to describe "artillery" and "little gun shoot fast" for "machine gun." "The results were very gratifying," Bloor concluded. 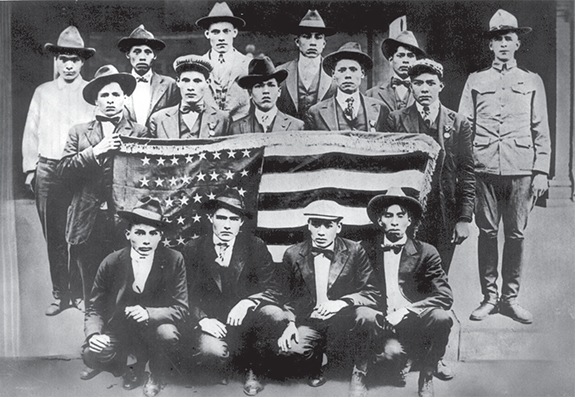 The men who made up the United States' first code talkers were either full-blood or mixed-blood Choctaw Indians. All were born in the Choctaw Nation of the Indian Territory, in what is now southeastern Oklahoma, when their nation was a self-governed republic. Later, other tribes would use their languages for the military in various units, most notably the Navajo in World War II. Responses to "Choctaw Nation: The first American native code talkers ever to serve in the US military"